Hi everyone. I am building a new house and I want to do some home automation. I already have knowledge in Arduino and its sensors/actuators. 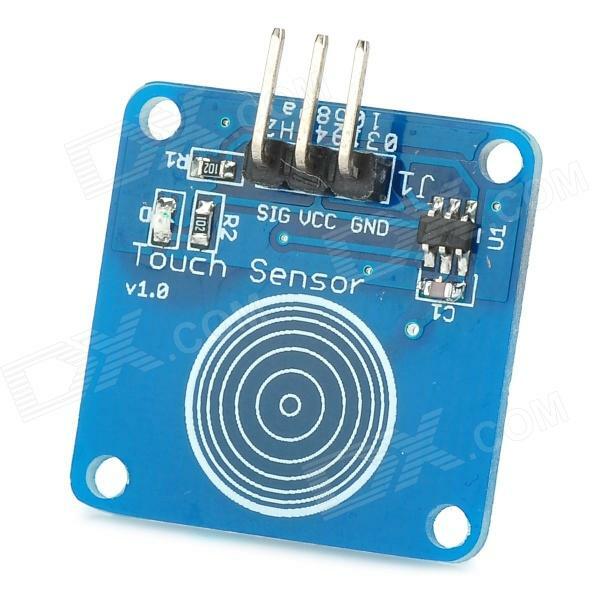 I do not want that, instead a wall touch sensor that can be wired directly to arduino (5V). @Yago-Casasnovas If you do a search for touch switch you may find a few ideas. This one might be of use. Hey thanks for replying @Boots33. So as I understand there is no off the shelf solution and I'd have to do some hacking. Is it not strange that nobody is manufacturing something similar? Is it so weird to wire the sensors directly to Arduino through the walls? Maybe there would be some interference issues wiring in the same tube, 220V power wires and 5V signal wires? @Yago-Casasnovas , the one mentioned by Boots runs a coincell. There is no wire to connect it, just glue anywhere and it will send commands to your controller. The standard one uses 433Mhz (like a garage door remote control), while the hacked version from Nca78 transforms it in 'mySensors enabled'. It doesn't control any light though, like the one you found from Broadlink. If you want a module to replace the original switch, wired to the lamp, search for 'Livolo' in the forum and you will find some hacks too. Check this link out. Be sure to watch his you tube video too.